Kylie Jenner – Self Made Billionaire? Kylie Jenner has been named youngest billionaire in the world, at the age of 21. With a whooping 128 million followers on Instagram, it would be baffling to not know who she is. She is the youngest daughter of Kardashian/Jenner family and is now the youngest billionaire in the world. The reality television star turned entrepreneur founded her cosmetic company in November of 2015. The launch of her cosmetic line began with her infamous Lip Kits, a lip liner with a matching matte liquid lipstick in various shades for $29 USD. The launch of her first products was so successful that her online store became out of stock in less than a minute. Since then, Jenner’s company has launched many more products and has become very successful-making her the youngest billionaire in the entire world. 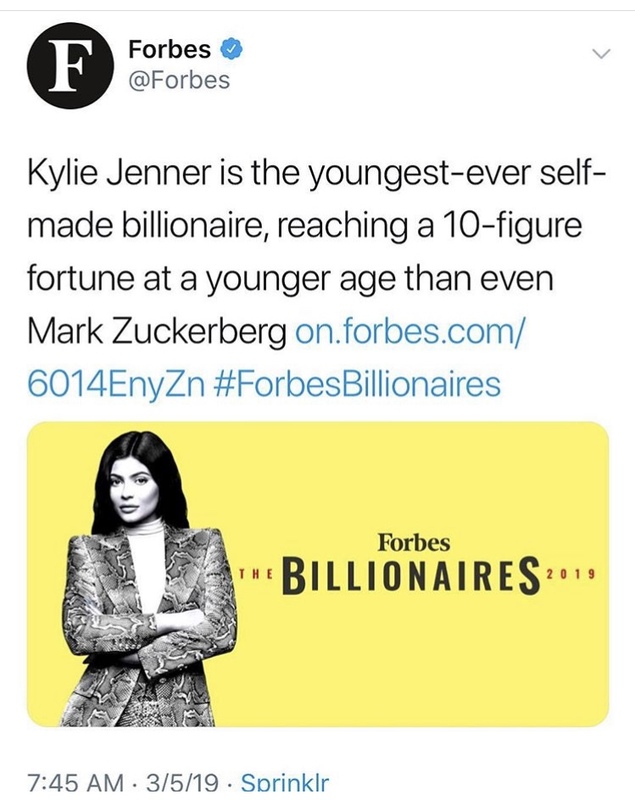 However, many people feel as if she should not be titled as “self-made.” Many users on Twitter expressed themselves when Forbes tweeted the link to their article on Jenner. One user tweeted “People aren’t hating on Kylie Jenner so much as they’re hating on the Forbes narrative that she’s entirely self-made. She’s one of those cases that was born on 3rd base thinking she hit a triple.” In other words, the user is trying to insinuate that Jenner was born into a very wealthy family with an extreme amount of contacts and resources to allow her cosmetic company to become so successful. As a result, Forbes Magazine has received a great amount of backlash from people all over the world. Author Montserrat MendezPosted on April 3, 2019 Categories Media AnalysisLeave a comment on Kylie Jenner – Self Made Billionaire? This picture was taken in Vancouver after hockey game in 2011. On the foreground we see police man who is armed with a helmet, shield and nightstick. This is a typical police gear to pacification crowds. In the background we can a running mob. In my opinion people in yellow vest are policemen chasing people who were taking part in riots. 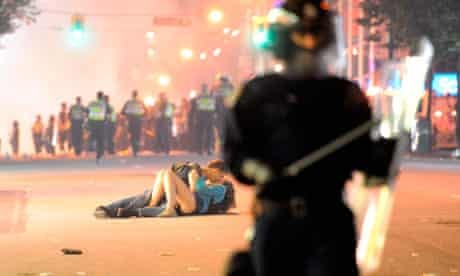 And at last in the middle plane we can see our main character a couple which is making out in the middle of the riots. This picture is almost unreal. In the middle of chaos, against every thing two people are indulging in feelings. This picture spread thought internet with light speed. It was every where Facebook, Twitter, Reddit, 9gag etc. Public eye gushed over it, and hailed them as a modern symbol of “make love not war”. Unfortunately internet society was to quick with judgement. There wasn’t many people who want to dig deeper in to this. However some people did. They found that this was Alex Thomas and her Australian boyfriend Scott Jones and they weren’t kissing. Based on testimony of witnesses they get between police and the mob and couldn’t escape. They were knocked down by police and left. Base on this history we as a internet community must be aware that every news in internet is potentially a fake news. Even a little effort could give us clues if news is real or not. There is one scene in particular that boils over from the cycle of abuse, passed down from father to mother to brother to stranger. The youngest boy, Jonah is struggling with his own conflict, as many growing adolescents do. He looks in her eyes and pounces. His hands scratch and claw at Ma. His roars are heard, His anger felt. 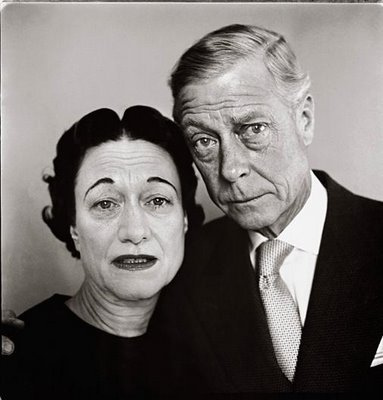 His father peels him off of his mother. His legs kick out from underneath his father’s hold. This scene was intense. I could easily see how hurt Jonah was to have his sexuality on display. His thoughts things he kept hidden. The conflict is with the way he dealt with his anger. He knew no other way to express his anger. He learned how to take his anger out on others. I wonder how do others experience anger? How do you deal with it correctly? Is there a correct way to deal with anger? 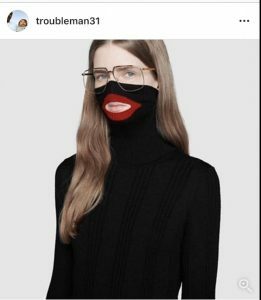 How did designers of this particular sweater (Gucci a popular “luxury” brand enjoyed by all) think the message would be interpreted by a specific group who are offended by the sweater and spend millions of their money on this fashion line? Can a boycott from that specific group encourage a mass boycott followed by their fans/ supporters eventually hurt the sales of the Gucci fashion brand? There is a measles outbreak right now. There is also an anti-vaccine outbreak going on concurrently. 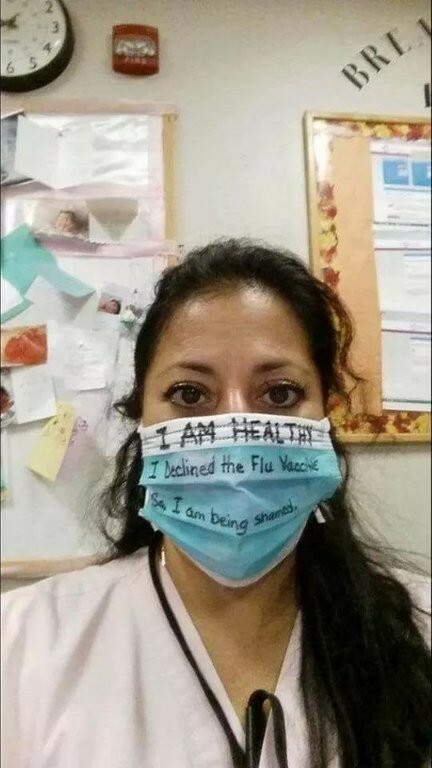 Question #1: The comments from where I found this picture indicated that this person seemed to be part of the medical profession, specifically a nurse. A person not in this profession might be a bit more naive, but why, do you think, would someone who should have intimate knowledge of medicine have this type of view? Question #2: Vaccines have the express purpose of helping prevent us from getting the disease, while also helping prevent the spread of the disease. Knowing this, why would someone be willing to expose others to the disease (again, keeping in mind the profession this person is in)? Giving birth to the land of the free, but free for who? 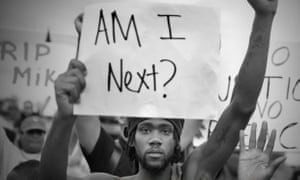 With this being black history month and how today society seems to have entered a time machine and is heading back to a time where some might say America was at its greatest hence the slogan the current president seems to love to repeat “Make America Great Again” and to others saying this was America at its worst. 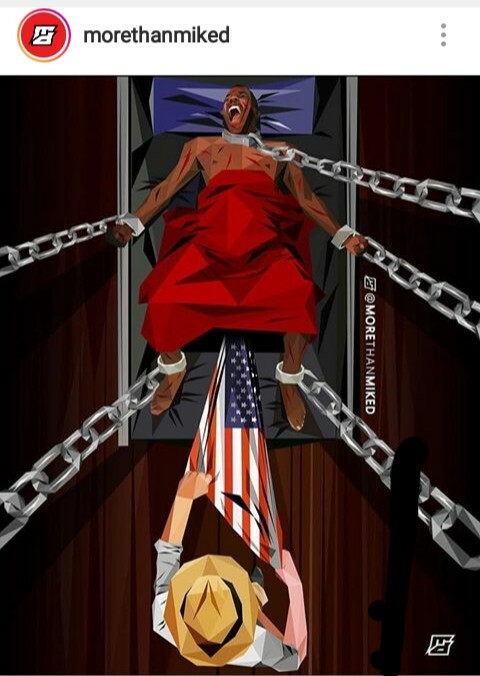 I believe that this artist though his graphic artwork which he titled “Birth of a Nation “captured what America really is and how it became the great nation around the world. 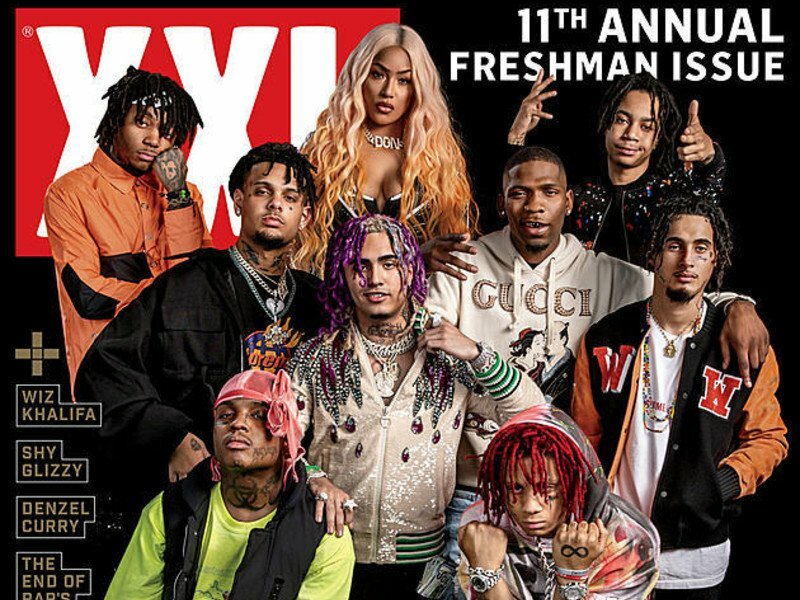 The conflict that I see in this image is how America was built with the sweat blood and tears of African Americans people and how society till this day refuse to acknowledge the contributions that African American people made in creating the history of America and what it is today. The more I look at this image the more I question why did the artist choose to have a black male giving birth rather than a black female giving birth. Another question I have is why did the artist choose the flag to be giving birth to what’s the symbolism behind that. Another question is what do the change symbolize and how does that play in the image and lastly why was it a white man doing the birth delivery itself. 1) Why did the artist decided to have a male figure being then one to give birth. 2) What is the significant of the flag and the white males that’s putting on it. Author Mindy DPosted on February 11, 2019 February 18, 2019 Categories Media AnalysisLeave a comment on Giving birth to the land of the free, but free for who? In this time of the world, it is really ironic to come across a post like this on your social media feed. Ever since we have been young we’ve learned about the history of our past time and how war has happened. 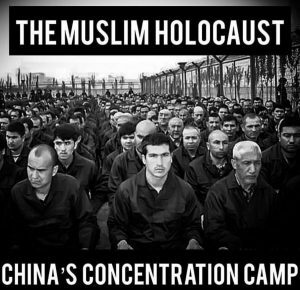 We were educated in the Jewish holocaust, why’d we learn this? We learned this because it was something obvious to grasp on to the fact that it’s wrong. 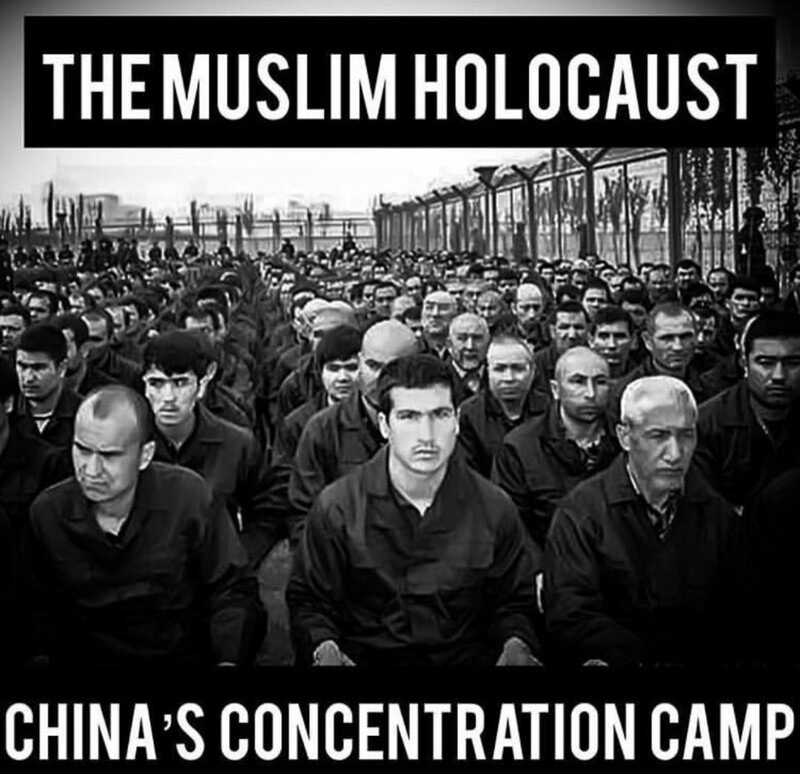 Now in modern day a holocaust is in place, and no-one is taking action. This is an enigma because after all the chaos it created, history is just allowing itself to happen again in a time especially like this. Adding on to the fact that this is an enigma, is because there is hardly any coverage on such a tragic occurrence on the news. This issue is being reported and spread though social media panels. This proves to the previous post about the sponge bob meme, not exactly answering the question about memes, but yes in times like this social media gets the job done. If it wasn’t for social media we wouldn’t get exposure to the real things out in the world we need to know. The news is controlled by a source and they are allowed to be biased and show us what they want. However social media allows us to see what we want and use our voices. Together everyone is spreading awareness and keeping an eye open for what needs to be seen, not just what the government wants us to see. Land of the free much? Being that it is black history month, it is essential to understand the reality of the world we live in today. Slavery HAS NOT been abolished. We had it engraved in our minds since a young age that slavery ended in 1865. However, it was not. The thirteenth amendment granted freedom to all Americans: yet it contains a loophole in which it excludes criminals. In other words if a person is being criminalized, the thirteenth amendment does not apply. Take this exploitation of a clause, added with 100 years of racial tension (since the creation of the thirteenth amendment to the civil rights movement) plus an indefinite “war on drugs” which was truthfully a war on people of color and low-income communities and you get to here. The United States of America, 2019. Home to 5% of the world’s population and yet where 25% of the world’s prisoners are locked up. 1 out of 4 people is being held in shackles here, in the land of the free. Author Ashley HPosted on February 10, 2019 February 10, 2019 Format ImageCategories Media Analysis1 Comment on Land of the free much? This is a prime example of the higher class white american teasing black american. The conflict in this situation is Moncler, a popular high class brand has a high percentage of African Americans wearing their products. 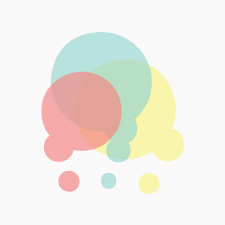 Monclear then goes on to defend their self by stating the outlined face on the puffer coat is part of a group of characters attached to their brand. Even if the characters are part of a collection, it’s obviously controversial when it come to outlining a jim crow face on anything black. Moncler It screams black face. 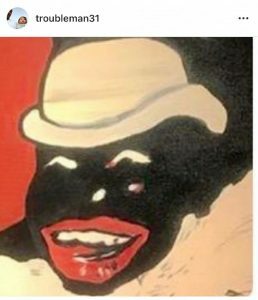 Is it possible that Moncler will see a decline in African American consumers, or will the company pay famous artists to start wearing their brand?. Should Moncler discontinue their characters for ever?, or how would they gain revenue after releasing such a racist product? Although the company responded to the racial feedback, their choice of background looks a little dishonest. The eye emoji on the bottom signifies deviousness. The clouds are smiling and smirking as if everything is joyful. The black penguin with the outlined face is the only character with arms- a human like structure. Penguins aren’t even shaped like this. Whats your opinion on Moncler’s response to the racial feedback? Do you think this response is sincere or did Moncler know what they were doing? 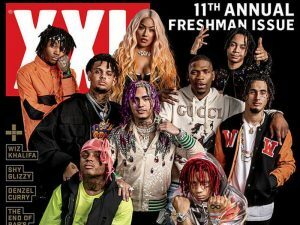 With February being Black History Month, why did this fashion line feel like it was appropriate to mock such a racist act and time in history towards African American (Black) people with this sweater? What did this designer intend to be interpreted from this piece of clothing, especially being displayed on a white model, and the origin of the design? 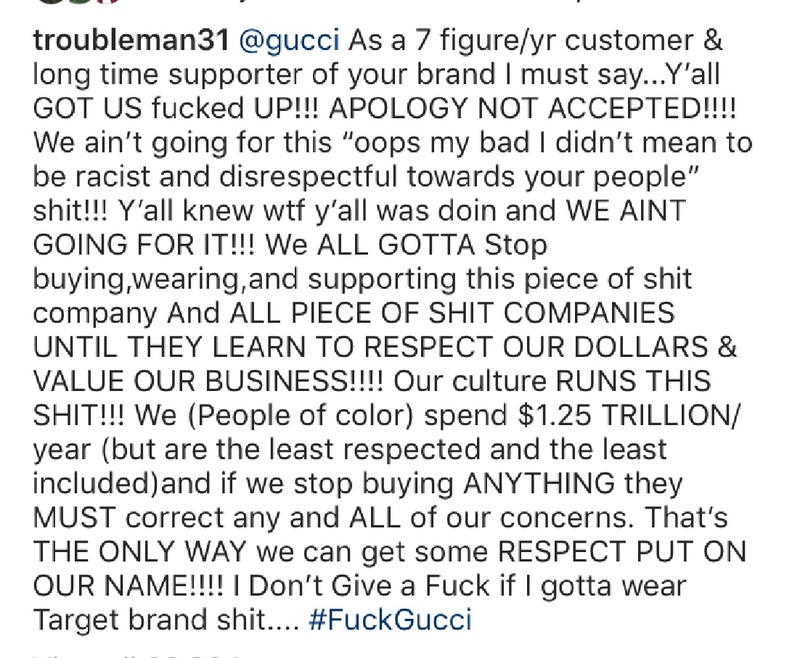 Rapper-Actor-Entrepreneur-Producer-Father and Community Activist, T.I made a lengthy post on Instagram basically stating #FuckGucci. 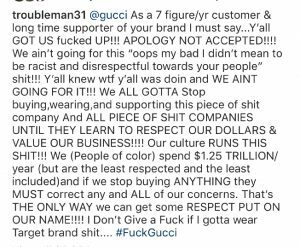 He also states how he is “a 7 figure/yr customer and long time supporter of the Gucci brand…” and “APOLOGY NOT ACCEPTED!!! !” He, himself admits to wearing and supporting the brand, knowing the affect he has on the public and his followers. With Gucci being a popular luxury brand enjoyed by all people. Do you think that a boycott from a particular group of people will have effect on the nature of sales or the brand as a whole?